Presented in partnership with the Calgary Public Library. Performances in Brooks and Calgary in Summer 2019. This is the fascinating story of how the small prairie city of Brooks transformed into one of the most diverse places in the country. It’s a live documentary play crafted from the words of people who were born there, who’ve become permanent residents, who’ve arrived as part of a temporary workforce and many who are stuck somewhere in between. Each show features a live interview with a guest who has come to Canada under the Temporary Foreign Worker program. 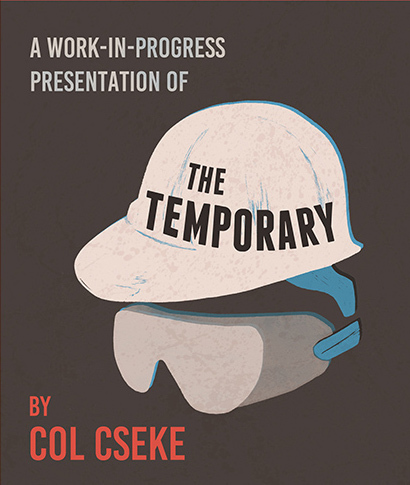 Join them as they experience in real time the word-for-word accounts of Brooks residents collected by playwright Col Cseke over the past four years, in this revealing exploration of labour, citizenship, change and hope. The Temporary is being developed in part through The Collaborations at Canada's National Arts Centre.